Union officials call the master agreement for employees of four aviation services companies a first, and another step in a campaign to improve conditions that began with the 2013 push for a $15 minimum hourly wage. 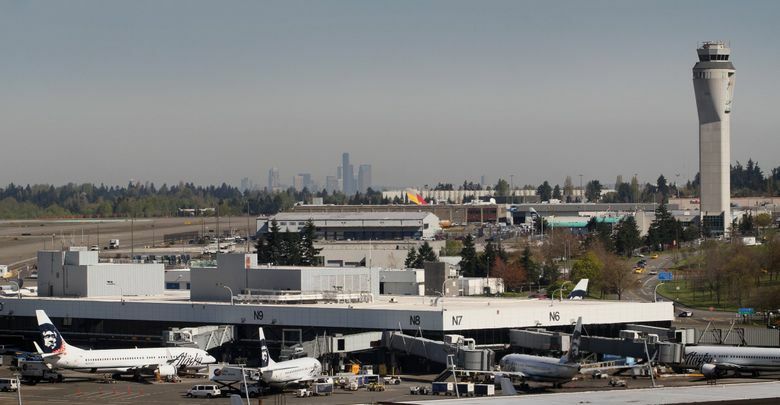 More than 800 service workers at Seattle-Tacoma International Airport will see new protections and benefits, including more paid time off and a clearer definition of a full-time workweek, under a contract ratified Tuesday. The collective bargaining agreement, passed by a vote of 106 to one, is the first master contract that will apply to skycaps, ramp agents, cabin cleaners, baggage handlers and other service workers employed by aviation services contractors G2 Secure Staff, the aviation division of facility services giant ABM, and Huntleigh USA. Discussions with a fourth, Bags Inc., are continuing. Workers represented by SEIU Local 6 had been under separate contracts at each employer. The master agreement, a first for airport workers at Sea-Tac, will strengthen workers’ position in future negotiations, said Alex Hoopes, a bargaining team member who works for ABM and was involved in the 2013 campaign that won a $15-an-hour minimum wage at the airport. “It will help bond the airport even more,” said Hoopes. Union officials described the negotiations leading to the contract as amicable. The companies involved did not return requests for comments. The contract defines a full-time workweek as 40 hours, provides five additional paid days off, allows workers to cash out accrued sick leave when changing to another union job, and creates a labor-management committee to discuss issues affecting the broader workplace, among other provisions. Immigrant employees at the airport who have had to balance job security against extended trips home to see family will benefit from a new extended personal leave policy. The contract grants employees unpaid leave of up to 90 days during slow periods, after which they can return to their jobs at the same level of seniority and pay. “This is very good for the employees,” said Mulat Ayalew, another bargaining team member and employee of ABM. This article has been corrected to clarify that Bags Inc. was in discussions with the union but has not signed the master contract.